Makati is teeming with bars, restos, and secret spots that foodies and those who are always up for something new would love to explore. 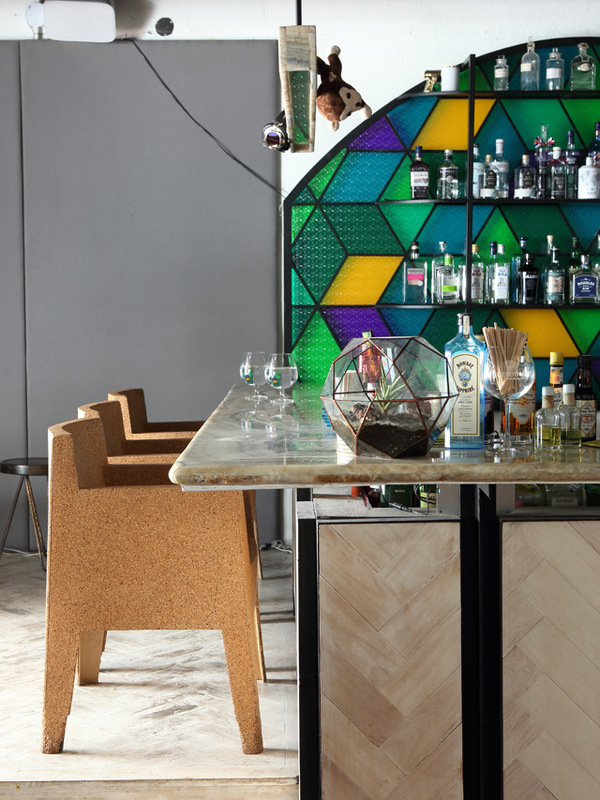 If you're looking for a place where you can unwind with a few drinks, The Bonbon Club is quite a revelation. 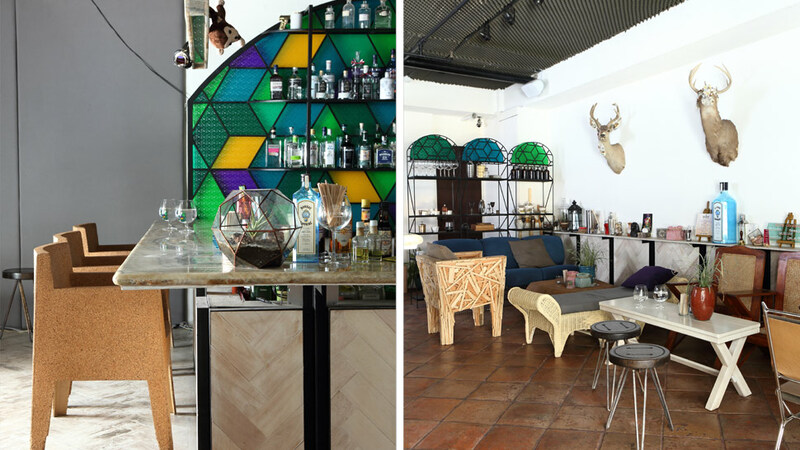 With less than 100sqm, the place packs a lot of character than your average club. 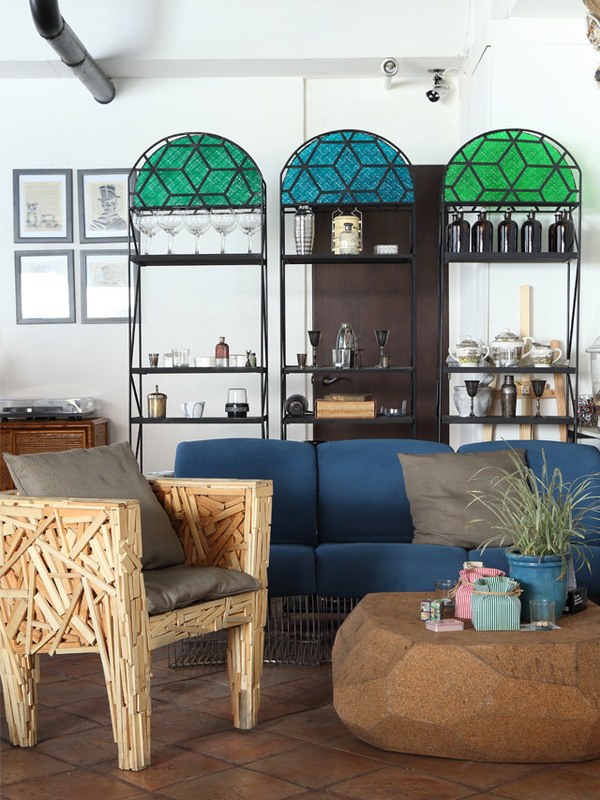 Furniture pieces from different eras and design styles—mid-century, Art Deco, classic Filipino, cottage, contemporary, industrial—were thrown in together to create an eclectic mix that still looks surprisingly well thought of. 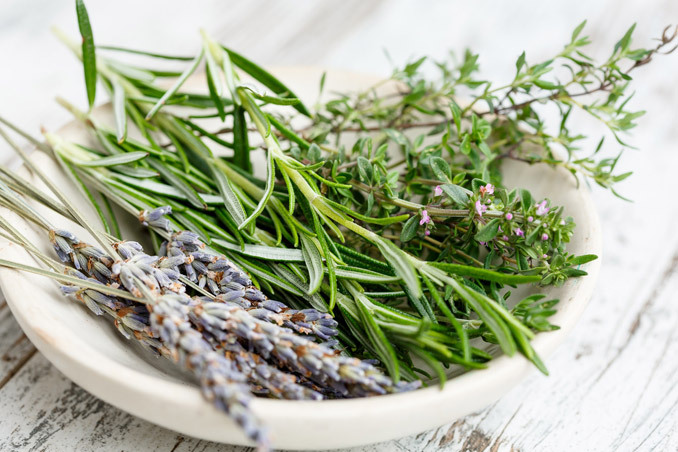 “Walking into Bonbon is like visiting your crazy gardening lola who loves traveling, history, and most of all, Gin. 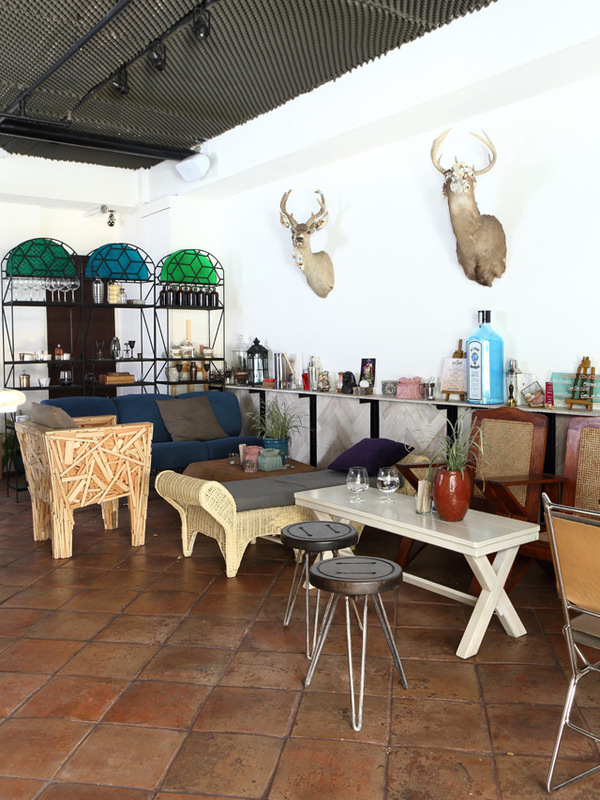 [It’s] a mix of Art Deco and mid-century furniture colored with rare oddities from around the world,” describes owner Borgy Manotoc. RL Must-Know: Art Deco is a design movement that became popular in the 1920s. Bold, geometric shapes and rich ornamentation are the key elements in this design style. The buildings along Escolta Street in Manila sport the Art Deco style. The cozy setup encourages hours of gabfest with friends and even with new acquaintances you’ll meet when you sit down for a glass (or two) of alcohol. The main sitting area situated against the longest wall boasts a variety of chairs: A Favela chair enjoys the company of plush, blue seats; a rattan chaise lounge mingles with a white wooden bench and two identical solihiya chairs; a sleek, Knoll-style sling leather lounge chair shares a nook with a Fjord Relax armchair. 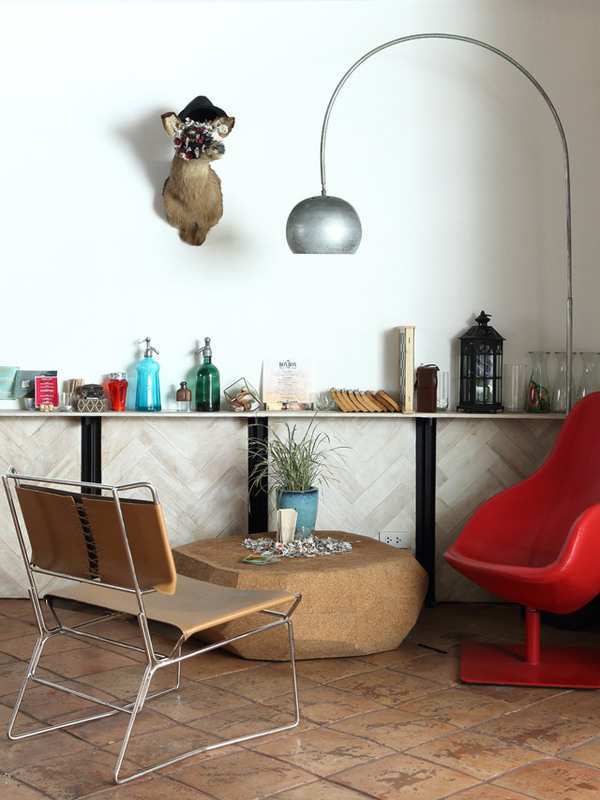 This miscellany of grouped sitting pieces share identical cork coffee tables and are set against a white wall that displays embellished taxidermy deer heads. At the end of this area, separating the powder room, are two tall metal shelves that house liquor glasses among a bevy of vintage liquor bottles, ceramic jars, and other curios. In the middle is the bar, which is not spared from the ragtag décor—plush toy monkeys playfully hang from the suspended panel lights that illuminate the marble-top counter. 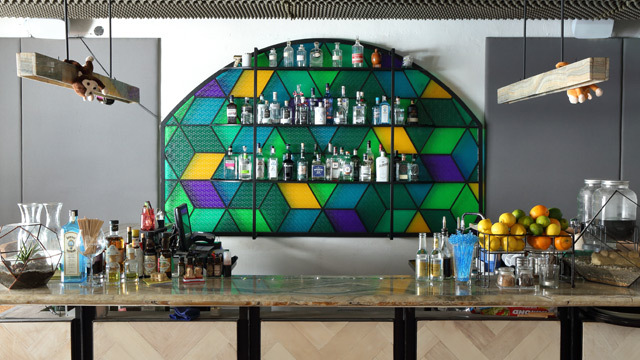 A panel of stained glass behind the bar will instantly catch your attention. Walls on either side provide more seats. Despite the smorgasbord of furniture and decorative pieces, the place still manages to look pulled together—even exuding a luxe ambiance that’s far from intimidating. “The interiors definitely cater to a more mature market that appreciates intimacy and familiarity,” Borgy adds. “The space was designed by our amateur collective. We just pieced together elements that we felt would also reflect the characteristics and history of Gin.” One look at Bonbon and you’ll know that the “amateur collective” behind it has as much good taste in liquor as they do in style. RL Tip: Achieve the eclectic style easily by grouping together pieces from the same era or those that are made of the same materials to avoid too much visual clutter. Visit The Bonbon Club at #16 Tropical Palms, Gallardo St., Legaspi Village, Makati City. The bar is open Monday to Thursday, 4pm-12mn; Friday, 4pm-2am; and Saturday, 6pm-2am. This article originally appeared in the September 2016 issue of Real Living Magazine. Minor edits have been made by the realliving.com.ph editors.